Executive Light Grey Slate Laminate 8mm replicates a natural tile look. This 8mm board measures 394.3mm wide by 1179mm long with 5 boards per pack. Each pack measures a massive 2.32m2. 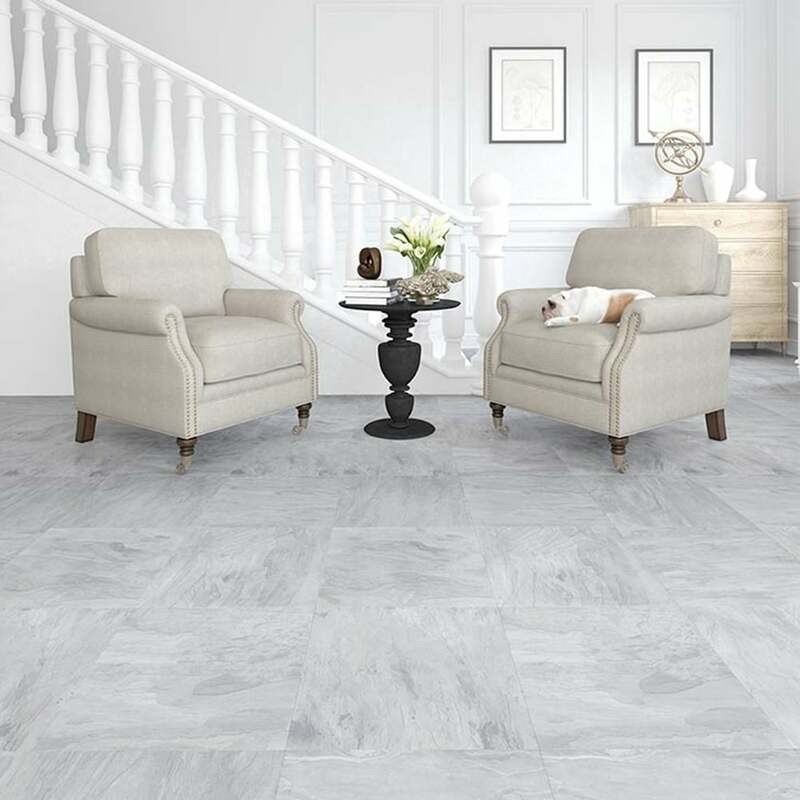 With its light grey slate tones this is an extremely popular and modern laminate for use across residential and commercial applications. This product has been awarded an AC6 laminate rating branding it suitable for all residential applications and heavy commercial applications such as offices, cafes and boutiques. This floor is easy to install clean and maintain and with its click system and flat edge profile, DIY has never been so easy! The sample I received looks even better then the picture on the website. The feel of it is incredible and exactly what I am looking for.